Vaporizer2 Is A Full-Featured Wavetable Synthesizer Plugin For Just $40! HomeNewsVAST Dynamics Released Vaporizer 2 – Hybrid Wavetable/Additive/Subtractive Synthesizer Plugin! VAST Dynamics has recently released Vaporizer 2, a new hybrid wavetable additive/subtractive Synthesizer plugin for PC & Mac. 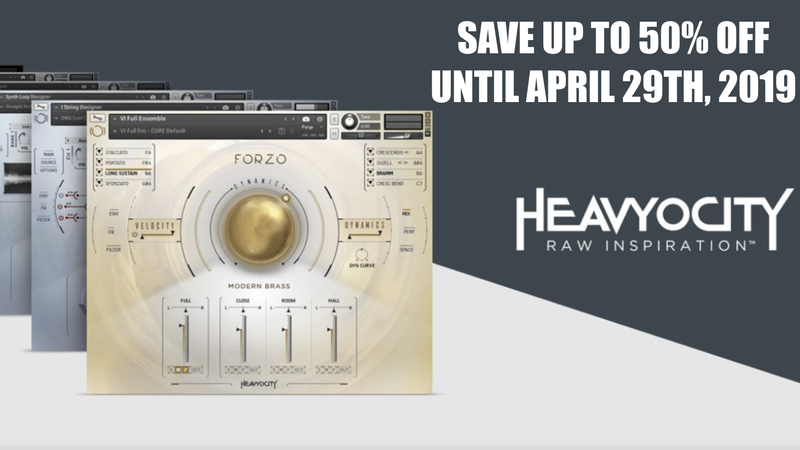 It features a high-quality and versatile wavetable sound engine (according to the company alias-free), sampler, advanced routing options and is low on CPU. With the deep wavetable editor, it’s possible to design and draw own wavetables/waveforms with features like FM, PWM, harmonic morphed/reduced, comb filter… Also it’s possible to load samples in the sampler or re-synthesis them to new wavetables. 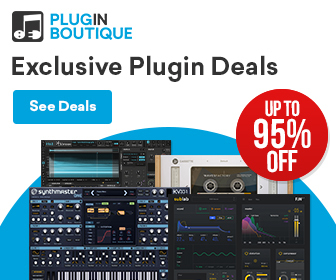 Over 30 different filters, 10+ effects (reverb, delay, chorus,…), 5 customizable loopable MSEG envelopes, 5 LFO’s oe and parameter sequencing, musicians get a massive amount of features for deep sound designs. 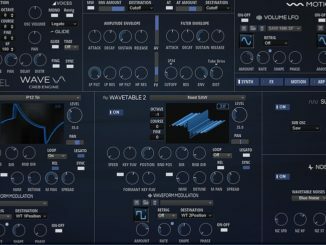 For just 34,90€, users get here a super powerful wavetable synth with tons of features for a very affordable price. 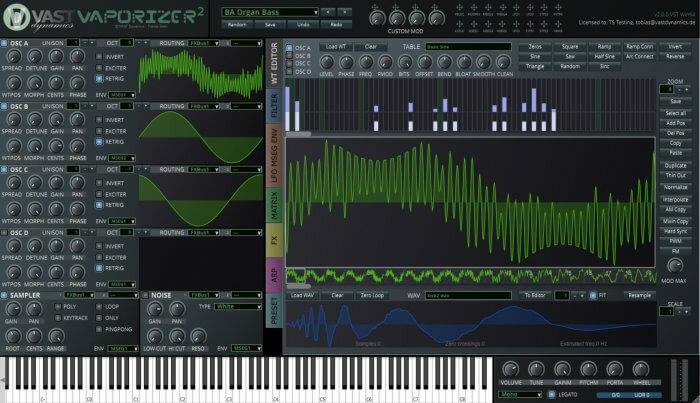 Vaporizer 2 aims to offer an alias-free versatile high-performance wavetable sound engine with low system CPU resource usage. State-of the art wavetable engine with four independent alias-free wavetable oscillator banks with up to 24 oscillator unison. Low system CPU resource usage – even with more than 1.000 oscillators playing. Groundbreaking wavetable editor with a vast number of editing possibilities including frequency shift, smooth, clean, bend and bloat for single-cycles, parts of single-cycles or even whole wavetables. Easy-to use wavetable draw mode with smooth Bezier curves and snap to grid function. Mix-in, amplitude modulate, interpolate or normalize wavetable cycles. Generate FM, PWM, harmonic morphed/reduced, low pass/high pass/band pass/comb/formant filtering and even hard sync wavetables out of an arbitrary single cycle waveform . Morphing and phase shifting of wavetable cycles. Import and change standard (Serum, Icarus) format wavetables – also simply via drag and drop. Additive synthesis section that allows to freely edit all harmonics and phases in real-time. Sampler section (wav/aiff/ogg/mp3) with loop points, loop start modulation and key tracking. Resample samples to wavetables with pitch detection. 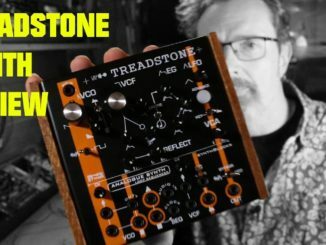 Mono legato mode or polyphonic 4/16 voice modes. Three effects busses including 4 x oversampling and mono cutoff to preserve a clean low end. 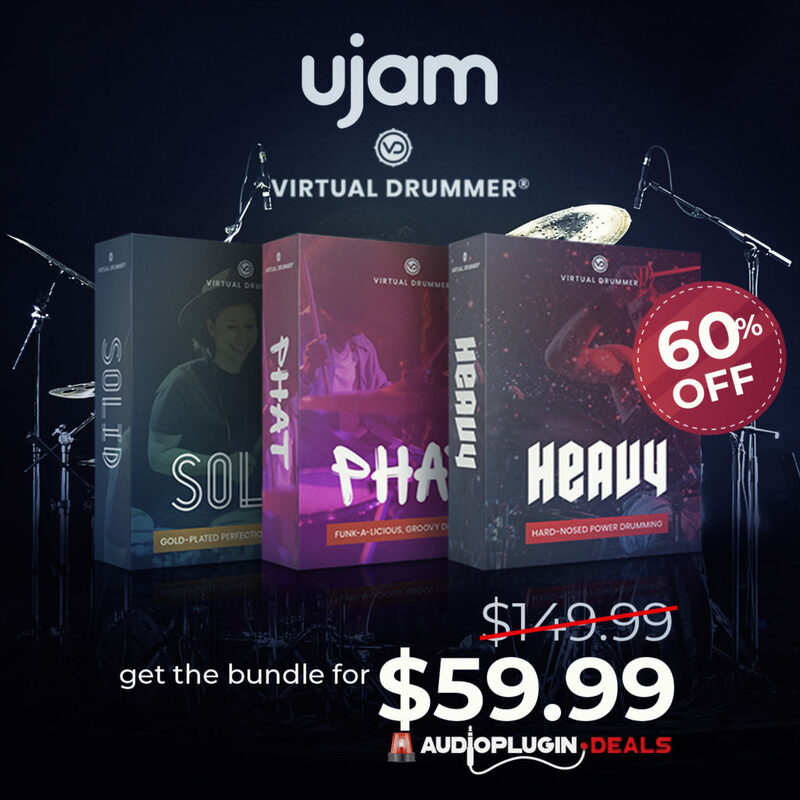 10+ highly parameterizable effects including reverb, delay, chorus, flanger, bitcrush, eq, compressor, limiter, flanger, phaser, comb filter and more. All effect times and durations can be synced to DAW. State of the art filter section (30+ different types) with 4 x oversampled LPF (biquad, state variable and diode ladder implementations) plus high pass, all pass, band pass, notch, shelf, comb and scream filters – all with resonance. Very steep filter curves for punchy basses. Innovative audio routing system for all sound generators, filters and effect busses. Five freely editable MSEG envelopes with loop function. 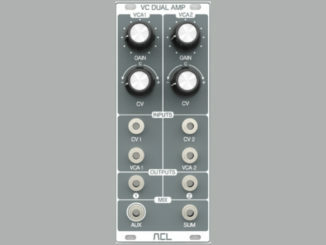 Five LFOs (per voice – means up to 80 LFOs in total) with smooth generation optimized for lowest frequencies with ramp and phase that can be set per voice or global – can be synced to the DAW. Built-in arpeggiator that is freely editable and supports polyphonic modes and hold. Three step sequencers that can be synced to the DAW. 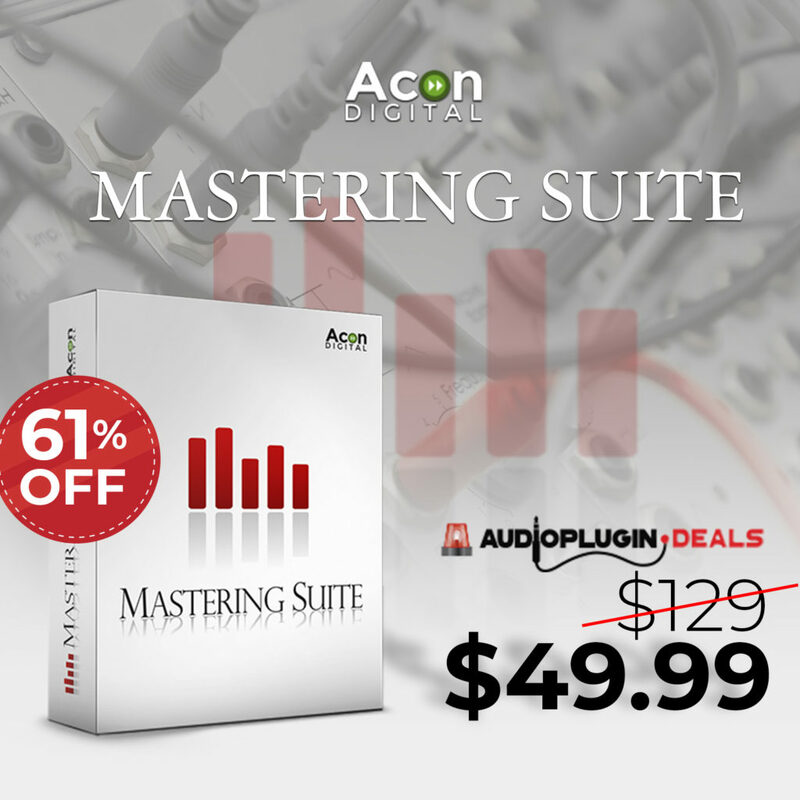 Comes with a daily growing number of presets – free regular updates on the website. Easy to use and intuitive user interface that is freely scalable and resizable even up to 4k and more with many drag and drop features. Vaporizer 2 is available in VST/AU plugin formats, priced at 34.90 EUR / $39.90 USD. A purchase includes lifetime free updates. Vaporizer users can use the new version with their existing license.